From empty crossroads to the first signs of a settlement, The Walled City is coming to life! Your job is to expand this new city, settling citizens loyal to you alone, as both you and your worthy opponents vie to be declared the first mayor. 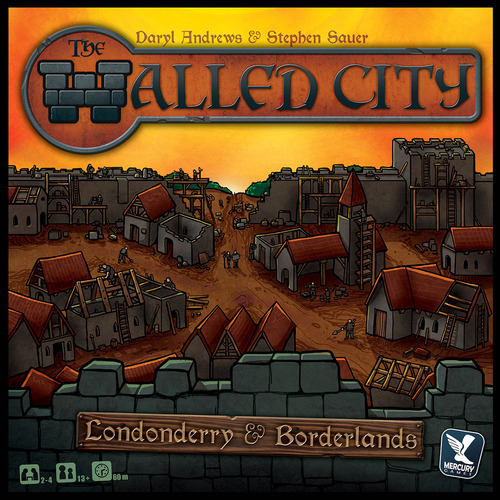 Learning to play The Walled City: Londonderry & Borderlands is easy, but the strategies are endless! In the first round you will play cards to build road which divide the city into neighborhoods, then populate them with loyal peasants and nobles who share your view of this new city. In the second round, you will build the walls themselves and choose which nobles will move into the towers to stand guard over the city as Watchmen. Beware, unfinished roads will combine neighborhoods, and gaps in the walls will cause Nobles to flee the city. Scoring is based on area majority: more neighborhoods loyal to you means more votes towards securing your seat on the city council. If you become Mayor, what will your Walled City look like? There's more to The Walled City than you might have noticed! Inside this box you'll find two complete games, each with its own flavor. Londonderry introduces players to the famous original Guilds of London, each with its own unique power. Just turn the game board over and you'll visit the Borderlands, a completely new map featuring new game mechanics and an extended selection of Guilds. You can even mix Guild cards between maps! This unique quality leads to uncountable combinations to play with, making The Walled City a place you'll want to visit game after game. 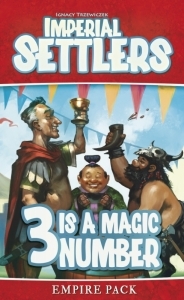 Imperial Settlers: 3 Is a Magic Number, the second Empire Pack for Imperial Settlers, introduces a new rule: SET. This new ability allows players to score and trigger new effects each time they build three cards in a particular color. With this rule, the drafting phase and the choice of the "right" card to draft becomes even more interesting. 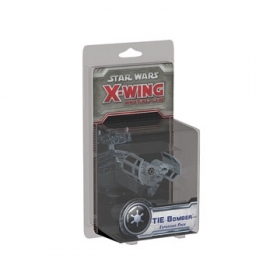 This expansion includes new cards for the common deck as well as new cards for each of the five factions and two cards for use in the solitaire game.